So to find out if I truly wanted this watch, I made a deal to Tip myself $1 every day for a year starting back in January. If I still want that watch come Christmas time, then I’ve proved to myself that it was not a passing want for a slick overpriced watch as well as spaved up enough to buy the watch outright! What’s $1 a day going to hurt, right? 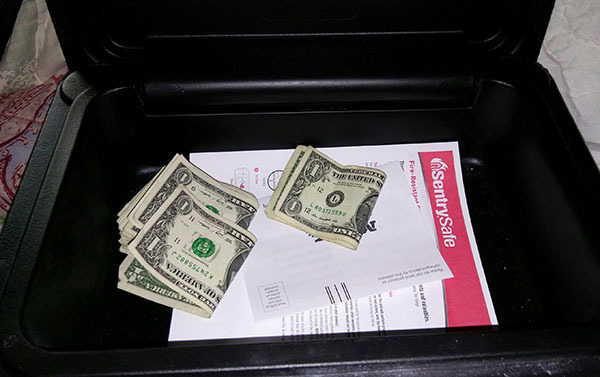 !” – Chris L.
“I put $20 folded neatly and stashed in my “secret” wallet compartment. Why? because I promised myself I would “start paying me first.” I’m a single grandma raising my 7-year-old granddaughter (born to my daughter while she was still in high school) as my own and soooo I had been paying for everything else and thought I would start paying myself $20 with each check (I’m self-employed so never really know how much those checks will be, so this is a start).” – Lisa D.
“I’ve recently found this process to be very effective in reaching my goals of quitting smoking. I put away $4 each day into a glass jar while I was quitting as that was how much I was spending each day (on average) on my smoking habit. It was so rewarding hearing the ‘clink’ of my two $2 dollar coins splashing into the bottom of the jar at the end of every day. At the end of my first month, I put it toward a bottle of scotch I’d been drooling, I mean, dreaming about (Glen Fiddich 15yr old). I’ve kept up the practice for the past 3 months but moved to a digital savings each day and have a new pair of golf clubs I’m now saving for. Highly effective practice, feeling like I’m putting wasted money toward goals and things I really truly value.” – James W.
“I have started “ tipping” myself by stashing away money that I would have spent on “ old money spending habits”… fast food drive through purchases was my biggest one as well as check out line candy purchases and even my occasional need of having “to be in it to win it” lottery ticket purchases. It started as a way to be intentional with my thinking about spending my hard earned money when I had the urge to spend money on impulsive and less than quality items and has happily turned into away to add additional saving for a special 25 th Birthday vacation for my son! This new and better money habit is also a way to treat my body better and in the long run is a wonderful win-win situation!” – Kim W.
I retired on April 6! Yes, retirement is just as busy as paid work, but with a more flexible schedule. I spent the past year tipping myself. Refinanced my mortgage to 4.25% on a 10 year note and set up bi-weekly payments starting June 2017 that included an extra $100/month to principal. Just received escrow reduction (yea age, local tax reduction) and increased the additional principal by that $104/month. Initial payoff June 2027; projected pay off December 2023. While still working was finally able to join a van pool; saving $189/month for parking plus wear and tear on car; cost to ride 90 minutes each way with 14 strangers $100/month. Ended with retirement. Cancelled Direct TV and switched to Hulu (bit of a learning curve), saving $60/month. Got rid of cable wires and rearranged den for first time in 17 years! Cancelled gym membership ($21/month) as my retirement covers Silver Sneakers membership at no cost. Called to cancel on-line NY Times subscription at $26/month and was given a monthly rate of $10.50. Called to cancel Massage Envy membership of $59/month (retirement=no stress?) and was told to call back when I was ready to rejoin and as a long-time member would be offered a significant discount. Kept that email. Cancelled Am Express gold card with annual fee and kept Am Express Optima with no fee, but still earn rewards. Cancelled several online genealogy subscriptions as I now have time to access at the library. Same for Barnes and Noble when current year is up. Spent the weekend moving ~1000 pictures from previously free Verizon Cloud (not free as of May 1) to thumb drive and ultimately Amazon Prime Cloud (I cannot give up Prime). Received a nice check for 49 days of saved and unused personal time off and used a chunk to build up my savings from 3 months to almost 5 months, much to the delight of my financial gurus. Opened a Chase Slate account with no interest for 15 months to pay off several smaller but interest charging accounts. Have watched it religiously and will have it paid in full at 13 months. Will then cancel. Signed up for Drive Safe which literally drove me nuts for a bit (consistently dinged for something on my left turns), but has reduced my car insurance premiums, as will not frequently diving in rush hour and reduction in mileage. Using my debit card as opposed to cash; easier to see what I really did not need to spend. Reviewed my donations and reduced to the three most important to me. Asking for my senior discount when available. Still adding to my savings each month, including funds to cover annual payments. A good tipping start, don’t you think?” – Helen W.
And then my favorite of all comments…. Never give up, y’all :) Every dollar adds an ounce of empowerment! And we all have to start somewhere!! Let me know if you end up trying any of these out, or if you have any other tricks you’ve experimented with over the years… We can never have too many ideas!! As to the winner of our iPhone giveaway? I have a box of about 30-40 $$$ books I still wanna give away at some point over the Summer too – so stay tuned for those to drop! That $5 trick is so neat! They say about 25% of people no longer carry any cash with them. Someone round credit card charges to the next $5 or up and put it aside! Congrats to Anthony! It’s always nice to know they do need it :) good karma! Wowww 25% is a lot! I can’t imagine never having any on me as it’s always coming in handy, but technology def. makes it easier to get away with for sure. I almost never have cash on me. Pretty much no cash unless I sold something and someone paid me in cash. I would estimate 360/365 days are cashless for me. I do get cash tips and occasional payments very frequently from my side hustle(s). Cash rule 1: It can NEVER be spent, only deposited. Cash goes into the accorns, roth, 529, or even in a vacation fund if we have one open but I like to treat it as money that I was never meant to have. Funny anecdote: when I was about 10 years old, I convinced both of my parents to give me the change out of their pockets every night when they got home from work in exchange for basic household chores (trash, dishes, vacuuming, etc). They thought they were giving me an insignificant amount of money, and they were so surprised at the end of the year when I had over $400 saved up. What did you end up doing with all that money, do you remember? My mom and dad bragged about it to my grandma, then took me to get my first bank account. They let me spend half of the money and made me save the other half. Renea, Thank you for sharing that story. It touched my heart. It sounds like you had a wonderful childhood. I love that your mom took lessons from you! So cute. Aww thanks! My parents were (and are) pretty awesome people. I try to be like them everyday. My husband does this with his change everyday … by the end of the year he usually has $500 that he puts towards a big dinner we host for friends, friends-of-friends, and family usually on Christmas Eve. Great tip and tricks. I heard a new one just recently, about saving a penny a day and increasing it each day. The most you would ever put in would be $3.65, and in one year you would save $667.95. Not bad! Haha yup! And much less scary than a *doubling* a day penny! You hit $1,000,000 by day #28 – pretty wild! I wonder what the difference between the $350 watch and fitbit. I think fitbit does track your health pretty nicely. I have a fitbex (flex I think) and I just dislike it. For one thing, it’s not water proof and the garmin certainly is. The garmin would also have various option for specific fitness that would include GPS and elevation, etc. We hike a fair amount and the fitbit is terrible about distance if you are hiking in steep conditions and your gait is different than walking or running. The mileage was way off. I love the increasing the stash by an amount or percentage until it hurts, we pulled that with our automatic 401k contributions and it went on for a full year before we noticed. It’s a good way of investing more money in little bits – I’ve been doing this with my contributions to 2 retirement accounts for the last year. I increase the amount each month by +1% of the previous month’s sum. This is the bit which throws colleagues when we ever talk about it because they say that 1% isn’t worth doing. As I find this too fiddly to manually adjust each month I just add 5 bucks each month until the next higher amount is crossed and needs adding another 5 bucks. In reality this means that I only had to adjust my contribution every 3 or 4 months. Trying to put back some xtra for vacation. I think I’m going to try the $5 bill trick as well as keeping our change. And make this a family challenge! This was lovely. I, too, would love a Garmin watch. I get a small discount each month ($25) on my health insurance if I do things that are deemed healthy. You can go online and read and take “challenges”, but the easiest way is to use a fitness tracker. I use a Fitbit (actually free from my employer) because I don’t have to do the stupid online stuff to reach my discount. But, boy I dislike this thing. Might have to think about the $1/day thing. Good job to all those who shared!!! Because I believe in saving — in an emergency fund, for retirement, as liquid cash — I make this chapter available to anyone for free. Yes, free: I will send a PDF of the chapter to any person who asks. No strings attached, no being added to a mailing list. That’s how much I believe in saving. Anyone who wants a copy of this chapter can e-mail me at SurvivingAndThriving (at) live (dot) com. Again: I will not add you to a mailing list or sell your information to anyone, ever. I just want people to have EFs and such. I love how you talk about saving found coins all year and then donating them to charity! Thank you for writing savings tips that help those who feel they have nothing left to cut. I learned about selling unwanted gift cards because of you! Thanks Donna!!!! I mean Savings Queen. Love the money jar idea! I do something similar and have $20 each paycheck deposited into a MMA so if a fun opportunity comes up I a) don’t have to miss out because I’m low on cash and b) don’t have to dip into savings or charge it on my card. This is separate from my emergency fund and has allowed me to take a week traveling with my sister, buy the kayak I had my eye on when it went on a one-day sale, and is paying for my impromptu girls trip to Cuba next week. It’s amazing how quickly a little bit adds up! The smoker fund was interesting. I don’t smoke but when I read the title of that saving method I thought “ohhh a BBQ smoker”. I visioned putting money inside a smoker (not turned on) in a bucket or something and then splurging on some good BBQ. I did the 52 week money challenge (something like this – https://www.spendwithpennies.com/52-week-money-challenge/) but instead $1, I did $5 with an increase of $5 per day. Just finished it with $3,340 that went to a new bike and a trip for my 10 year anniversary with my husband. It wasn’t easy at the end but it was worth it. WHAT THE WHAT??? That’s one helluva challenge! Just wondering if your new little bundle of joy has arrived? Awesome stuff! All savings are good ways :) Happy saving peeps! Like the $1 a day trick. Seems so little at first but when you save for a whole year without touching it, it becomes to be over $350. I have a digital coin jar at home when it shows the amount in the jar. It can determine all the US coins so whenever I have spare change I just put it in there. I’m digging the $1 a day trick. I’ve been trying to budget for a new MacBook for close to a year, but still have a few months to go. Saving $1 a day wouldn’t be a quick option to hit my saving goals, but the mental shift I’d experience in saving money daily would pay dividends. Great advice! When it comes to saving money or paying off debt, every little bit helps! 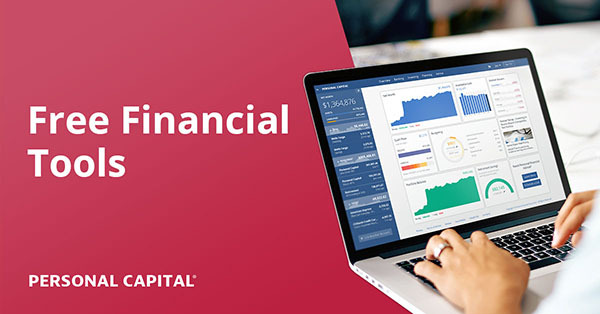 Do you ever have the feeling that there is still some “spare” money sloshing about but even though you track your expenses, and it all adds up, you just can’t seem to put your finger on it as to where it is? Because of this I started this Savings challenge in January (http://www.budgetsaresexy.com/use-this-chart-to-save-1000-this-year/). I’ve adjusted it so I will save 250 bucks in total over the course of 1 year into a separate savings account – at the moment I manually transfer money every Thursday. I’ve started with the bigger sums to get them out of the way early – and good was it that I did. 16 manual payments later and I am a bit fed up with it so in 2 weeks time I will fix it at the then current amount of 5 bucks a week and make it an automatic transfer from then onwards. Doing this will mean that I will also end up with 310 bucks saved instead of 250. And of course I went then one further and started it a second time – this time from the beginning as an automatic transfer of 5 bucks a week.